There is some debate regarding who first built motte and bailey fortifications on the site. 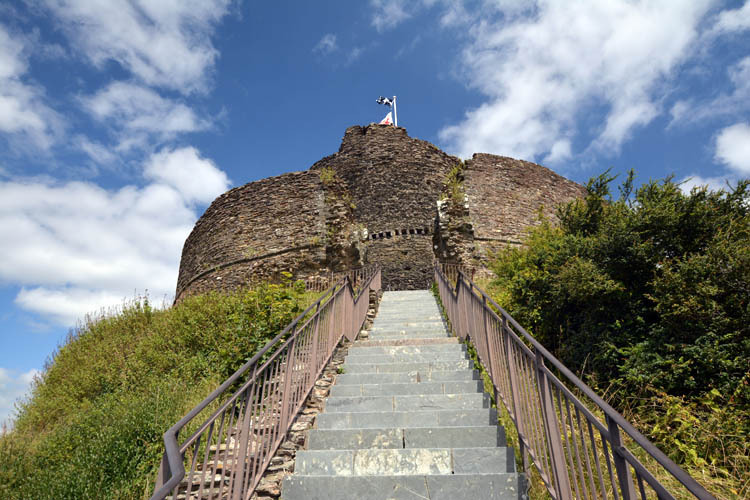 Some researchers believe it was the half-brother of William the Conqueror Robert, Count of Mortain, while others suggest it was established by Brian of Brittany. The date for its initial creation was somewhere between 1067 and 1071 AD. It certainly became important and was soon the administrative and territorial command centre for the powerful Earls of Cornwall. Traditionally, the eldest son of the ruling British Monarch is appointed as the Duke of Cornwall and Prince Charles, the son of Queen Elizabeth II, was officially awarded this title at Launceston Castle in 1973. 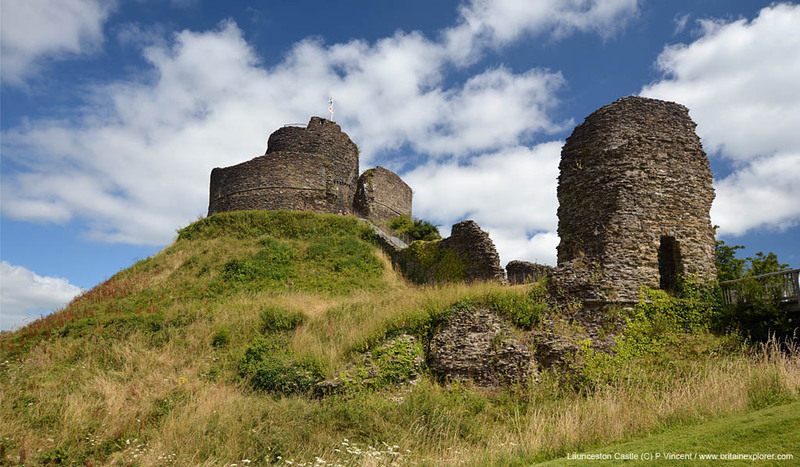 It wasn’t until the 13th century that Richard, Earl of Cornwall, started to rebuild the castle in stone. The new buildings included an impressive central tower and a great hall within the fortified walls. The tower was erected on top of a significant hillock motte from which the defenders had excellent views of the surrounding region. Although the administrative centre for Cornwall was moved from Launceston to Lostwithiel during the latter part of the 13th century the great hall remained in use as an Assize Hall until the early 1600’s after which the building slowly fell into ruin. The seat of county government was relocated from Launceston to Bodmin during 1838 and the jail, the only remaining building in the castle grounds, was demolished. It is believed that for some time the fortifications were known as Castle Terrible. It was during this time that one of Thomas Cranmer’s men, William Body, was murdered. William Body was hated by the locals as it had been his job to desecrate Cornish religious shrines at Helston. As punishment, 28 Cornishmen were rounded up executed within the Castle grounds. Given the presence of the jail and the executions it is quite surprising that the castle seems to have few if any ghost stories.